The Toronto Real Estate Board reported 6,073 condominium apartment rentals in the fourth quarter of 2015. This result represented a substantial 20.7% increase compared to 5,032 rentals reported in Q4 2014. “While the ownership market is often top-of-mind when we think about condominium apartments in the GTA, it is important to remember that investor-held condos have become an increasingly important source of rental supply. 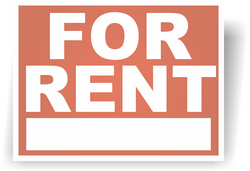 Renters looking for mid- to high-end units have tended to be pointed at condo rentals. Strong demand resulted in tighter market conditions in Q4,” said TREB President Mark McLean. Year-over-year growth in rental transactions outstripped growth in the number of units listed during the quarter. This suggests that competition between renters increased, which explains above-inflation rent increases for one- and two-bedroom condo apartments. “Tighter rental market conditions resulted in strong increases in average rents compared to last year. Looking forward into 2016, expect rent growth to remain strong if we continue to see growth in the number of transactions outpace growth in the number of units listed for rent,” said Jason Mercer, TREB’s Director of Market Analysis.